State-of-the-art food technology concerns systems and structures of the processes for the production of food. The goal is the optimum use of raw material, which is usually produced agriculturally, and its industrial processing into food with high quality and safety standards. State-of-the-art food technology and the high degree of automation used in it enable society to be provided with food efficiently, safely and continuously. Drive technology is used in nearly every process step, from production and processing, to transport, storage and purchasing by consumers. This is where the gear components, drive systems and development achievements of Framo Morat come into play. 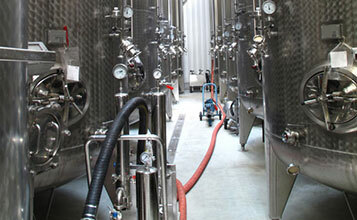 In the following, you will see some application examples of our drive solutions in food technology. 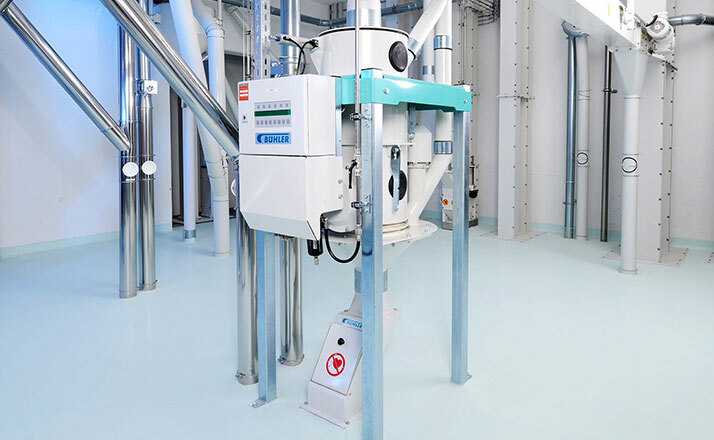 Continuous processes for processing free-flowing products such as cereals or rice can be measured and regulated with highest accuracy using differential proportioning scales from Bühler AG Uzwil. A linear actuator of the Mini 0 type regulates the size of the discharge opening of the weighing hopper. For this application case, the Mini 0 develops a stroke force of 1,000 N with a stroke speed of 4 mm/s. This leads, according to the plant type, to strokes between 55 and 100 mm. Thanks to its compact design and the use of stainless steel, the Mini 0 is the ideal drive for this application. 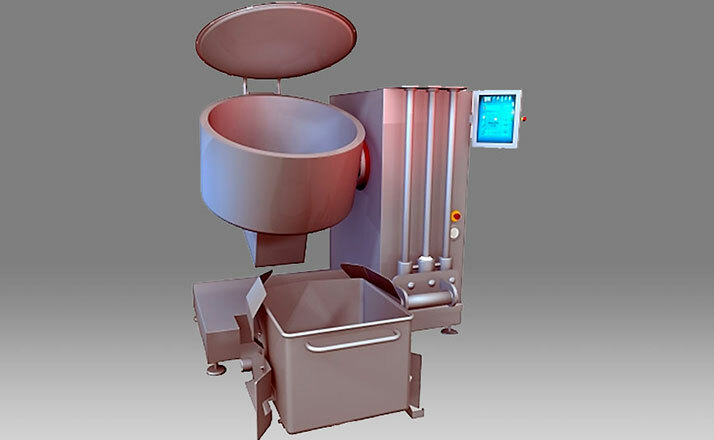 The Compacta AG160 is used as the hinged cover drive for high tech tumblers – machines for automatically mixing, tumbling and marinating meat and sausage products – from the Black Forest company of Rühle GmbH, a renowned manufacturer of food production and butchers’ equipment. The tumblers have a computer-controlled 20 second loading system – in the process, the 60 kg lid is opened and closed through a 90° angle. 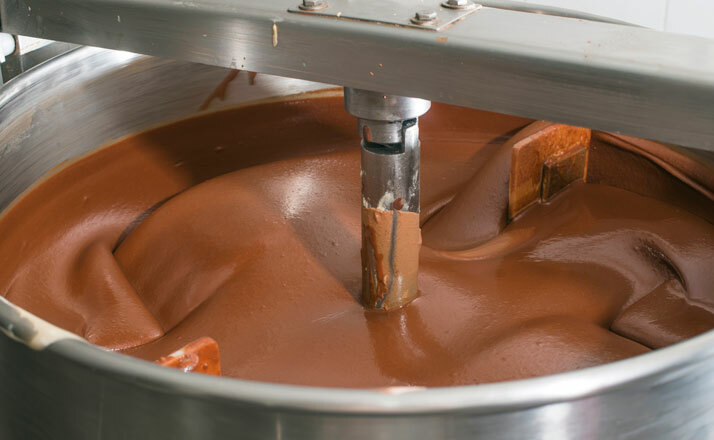 Splashproofing (IP 65) and the use of rust-free stainless steel also permit use of the Mini actuator under harsh and aggressive environmental conditions, for example, in hygienic areas in the food industry. 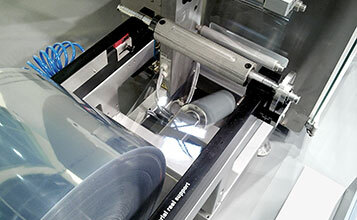 Mini drives are used on blister packing machines to adjust the feed and unwinding of the forming film.